Cementing its reputation as the premier exhibition platform for professional audio visual (Pro-AV) and experiential communications technologies in India, the InfoComm India 2017 witnessed heavy footfall which reached a five-year high. The annual show has registered an upward trend since its inception in 2013. On 26-28 September 2017, total 8,162 unique visitors attended the exhibition in Mumbai to check out emerging technologies and network with key stakeholders , representing a 16 percent increase over last year’s footfall. The show, which was themed “See the Future of Networked Communications”, is the only dedicated trade fair for Pro-AV and experiential communications technologies in India. Moreover, significant engagement was witnessed in the educational component of InfoComm India 2017, where experts shared current trends and in-depth market insights in various sessions, registering a 66 percent jump from the previous year. In comparison to 2,100 participants in 2016, over 3,500 people attended this year’s program in 66 sessions. The show had booths featuring over 200 exhibitors from more than 20 countries, of whom 52 were first-time exhibitors. Furthermore, over 94 new-to-India products were launched at the show. The exhibitors included Delta, Epson, Extron Electronics, Harman, Kramer Electronics and Panasonic India. This year’s edition was also marked by the strengthening of ties between InfoComm India and local industry and government associations. Joining the nine associations which have already been working with InfoComm India, notable first-time collaborators include established industry associations such as All India Institute of Local Self Government (AIILSG ) and Federation of All India Association (FAIITA). 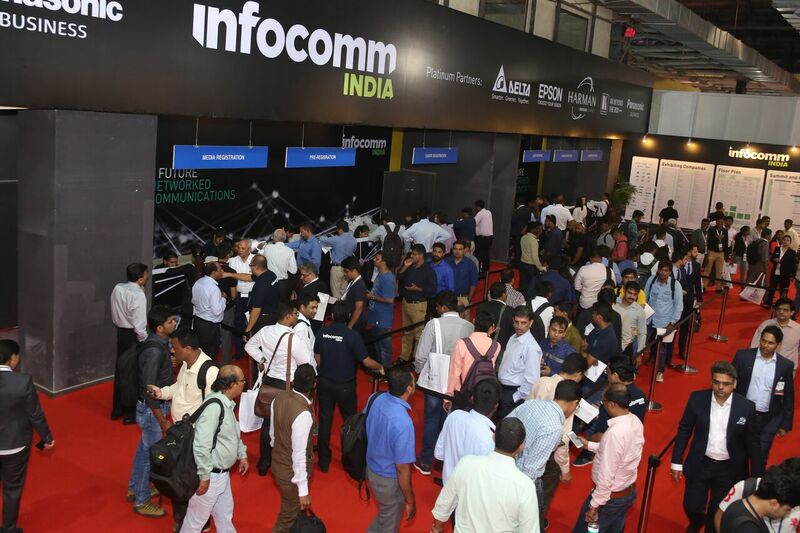 InfoComm India will return next year on 18-20 September 2018 at the Bombay Convention Centre in Mumbai.